In the early 1830s, Andrew and Mary Israel arrived in New Albany, Indiana, from Ohio. Andrew, a native of Kentucky, earned his living as a cobbler. Mary, originally from Virginia, helped her husband finish shoes. 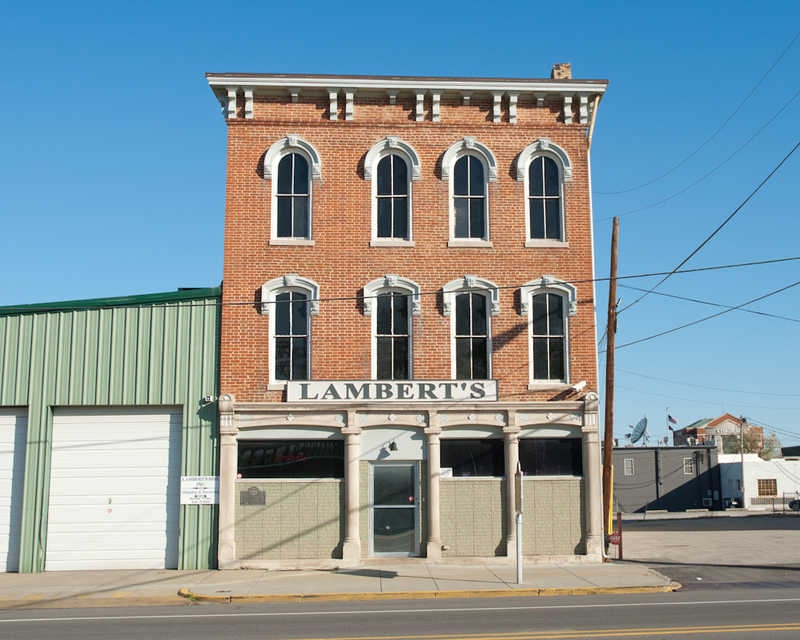 Most of her time, however, went into managing a boarding house and hotel on Main Street. 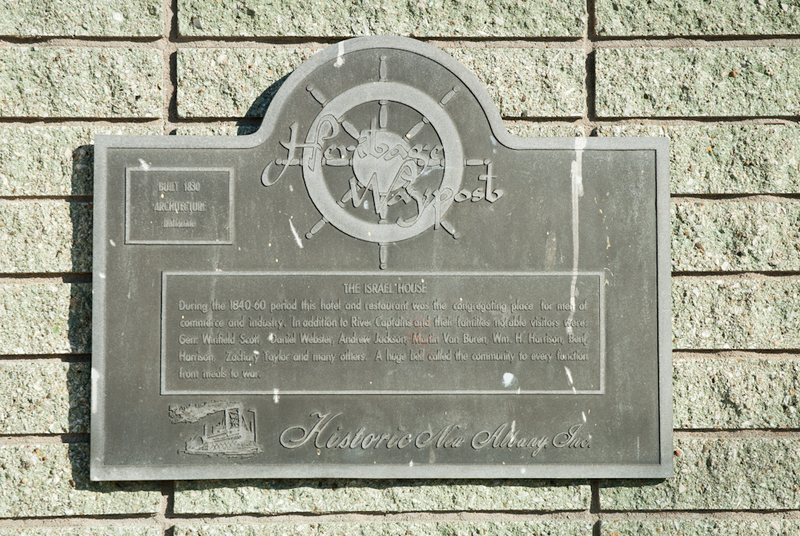 During the 1840s and 1850s, steamboat captains, pilots, and engineers routinely stayed at the Israel House. Its popularity and refined accommodations led it to be called “the most aristocratic boarding house in the city.” Following Andrew Israel’s death on November 4, 1855, Mary continued to operate the Israel House. Andrew and Mary willingly lent assistance to neighbors, white and black. Although the historical record contains no direct statements concerning the Israels’ views on race, evidence indicates they favored greater tolerance. In October 1851, for example, Andrew testified in the Floyd County Court on behalf of a free black woman, Sarah Ann Lucas. In August, Indiana voters had overwhelmingly approved the Exclusion Act, a law that forbade free blacks and mulattos from settling in the state. The law subsequently became Article Thirteen of the Indiana Constitution of 1851. Free persons of color who had previously settled in Indiana had to obtain “Proof of Freedom” documents showing their status as legal residents. Andrew Israel’s testimony helped Lucas secure her documents. A short while later, Louisville police arrested Lucas for assisting a slave cross the Ohio River into Indiana. When violence broke out on July 22, 1862, Mary acted valiantly, at great risk to herself, to protect African Americans. As tensions escalated during the early stages of the Civil War, some whites saw African Americans as the cause of the struggle underway. On July 21, 1862, a fight between two black men and two white men left one of the white men dead and the other injured. The following day, white men and boys marched through New Albany, beating black residents, starting fires, and destroying property. 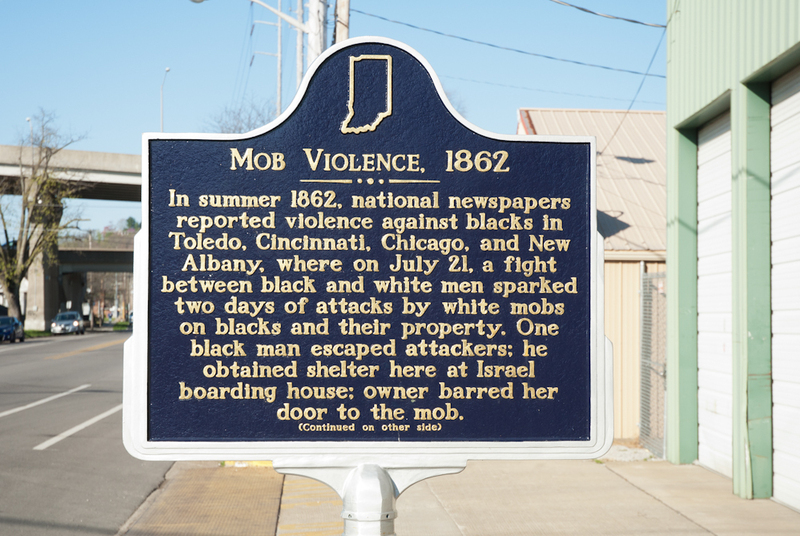 The incident is today recalled as the Race Riot of 1862. During the riot, a black man who lived at the Israel house was attacked by a group of white men. He escaped and sought refuge at the Israel House, where Mary Israel drew him inside and boarded up all the doors, making it impossible for the pursuers to enter. Andrew and Mary Israel risked both their lives and their reputations to help African Americans. 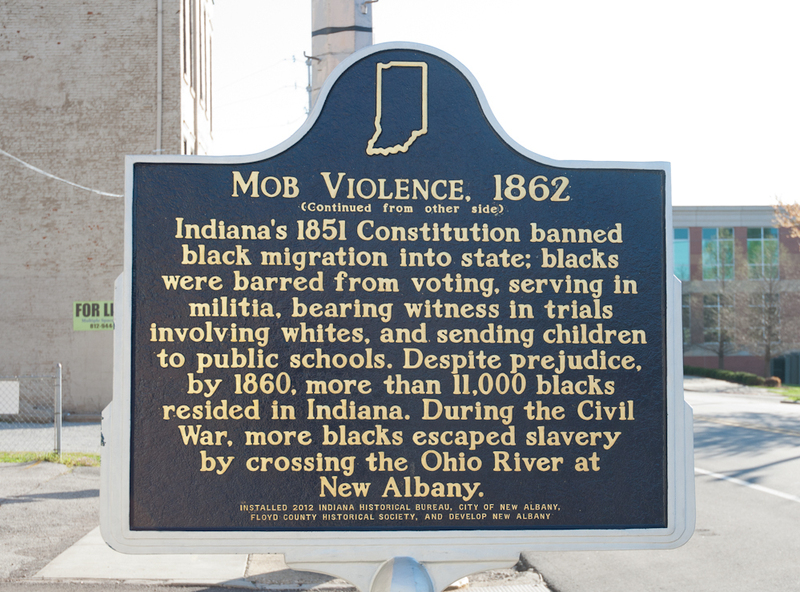 An Indiana historical marker at the site of the former Israel House recalls the racial unrest of 1862 but says little about the Israels’ bravery and activism. The Israel House remained in business for more than forty years, although it moved several times and also changed ownership. From the mid-1840s into the 1870s, the Israel House stood at 228 Main Street. Mary Israel either died or left New Albany by 1873. By the mid-1880s, J. B. Kelley reopened the Israel House at 40 and 42 West Main Street. In 1886 Frank Losson, a baker, bought the Israel House, turned it into his place of business, and created a residence upstairs. 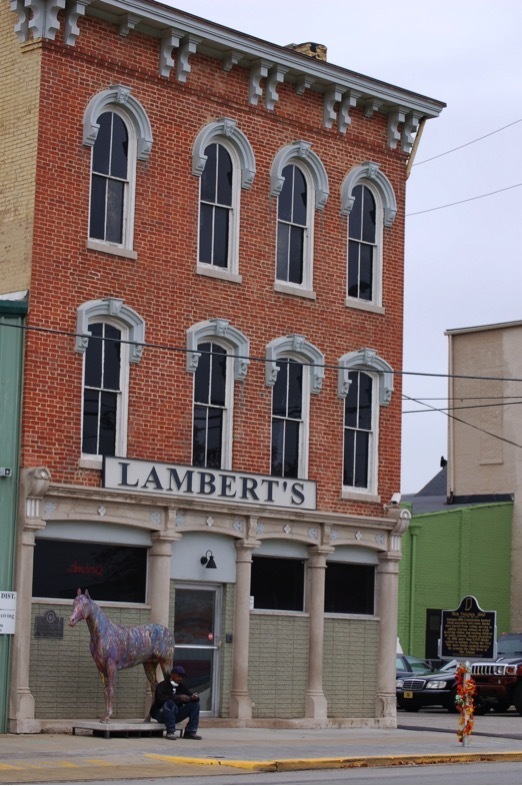 A recent restoration returned the building to its late nineteenth-century appearance. To learn more about Israels and the racial tensions of the Civil War era, visit the Carnegie Center for Art and History at 201 East Spring Street. The award-winning exhibit, "Ordinary People, Extraordinary Courage: Men and Women of the Underground Railroad," is available for viewing Tuesday-Saturday from 10:00 a.m. to 5:30 p.m.
Alex Covington, Jacob Burress, Trish Nohalty, and Tommy Skaggs, “Andrew and Mary Israel and the Israel House,” Discover Indiana, accessed April 20, 2019, https://publichistory.iupui.edu/items/show/144. Pam Peters, The Underground Railroad in Floyd County, New Albany (Jefferson, N.C.: McFarland and Co., 2001. ).Joe William Trotter, Jr., River Jordan: African American Urban Life in the Ohio Valley (Lexington: University Press of Kentucky, 1998).New Albany City Directories, 1845-1889.